SCOTTSDALE, Ariz., Dec. 4, 2018 /PRNewswire/ -- A new calendar year brings fresh design trends for homeowners to start incorporating into their homes. 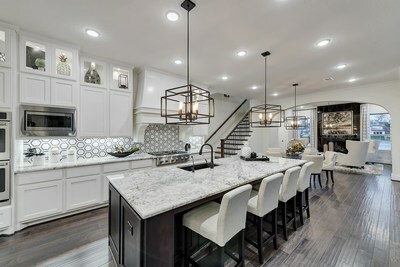 With more than 8,000 homes built last year, national homebuilder and developer Taylor Morrison has special insight into the design trends buyers are incorporating into their homes. Here are nine trends from the builder's in-house design experts for 2019 based on the selections homebuyers are choosing today. Utilize materials like real plants and hardwood that are not only beautiful but also good for you. Pastels can make even small rooms feel light and airy. Taylor Morrison Home Corporation (NYSE: TMHC) is a leading national homebuilder and developer that has been recognized as the 2016, 2017 and 2018 America's Most Trusted® Home Builder by Lifestory Research. Based in Scottsdale, Ariz., we operate under two well-established brands, Taylor Morrison and Darling Homes. We serve a wide array of consumer groups from coast to coast, including first-time, move-up, luxury, and 55 plus buyers. In Texas, Darling Homes builds communities with a focus on individuality and distinctive detail while delivering on the Taylor Morrison standard of excellence. For more information about Taylor Morrison and Darling Homes please visit www.taylormorrison.com or www.darlinghomes.com.